Described as what “jazz would look like if put into human form,” HOWL is a wild physical work that takes the text of Allen Ginsberg’s revolutionary poem and matches it with four restless and visionary young men. Opening with the immortal line, “I saw the best minds of my generation destroyed by madness,” HOWL imagines Ginsberg, Jack Kerouac, Neal Cassady, and Carl Solomon – to whom the poem is dedicated, as well as the ghost of Naomi Ginsberg – Allen’s mother, and sets them to life using the poem as guide. 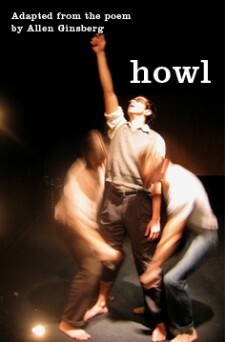 HOWL is a play about men and madness in America.